Picking a destination for your trip isn’t always easy. 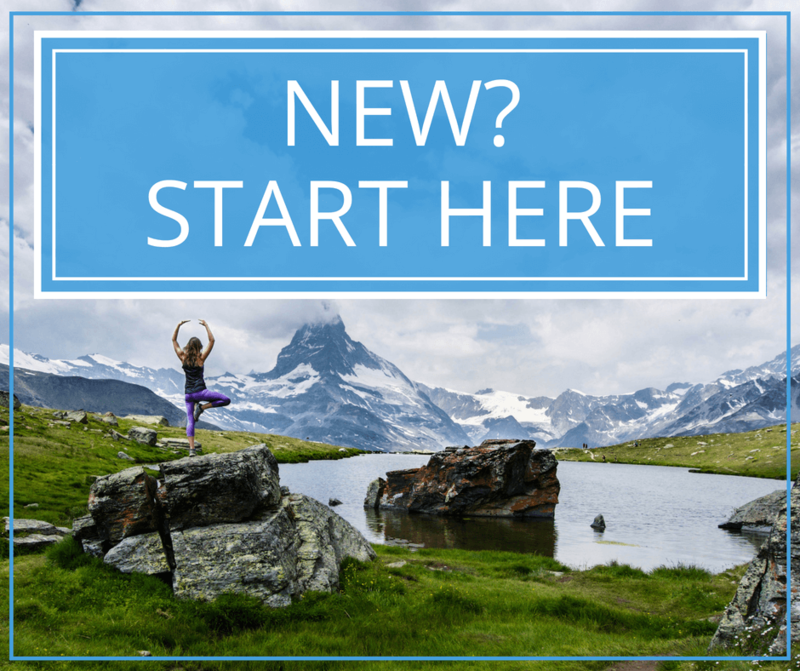 There are so many factors to consider, like what kind of weather you want, what activities you enjoy, and what cultures intrigue you the most. Being real, though, the biggest consideration is usually finances. I’ve been to 6 out of the 7 continents on planet Earth, and each has its own price point, but that varies even further depending on which part of the continent you’re traveling through. It can be pretty confusing coming up with a budget, so after about 20 hours of research (from my own travels and some from other great resources out there in the interwebs), I’ve come up with the comprehensive guide for what it costs to travel anywhere in the world, broken down by region. Keep in mind, these estimates are for mostly budget-minded people who aren’t big spenders on vacation, with tips for how to do things a little cheaper and get a great value. Ready for an adventure? Let’s go! If you’re looking for varied culture, amazing food, some of the best road trip options in the world, tropical locales, some of the coldest spots on planet Earth, great skiing, and gorgeous beaches, you really can find it all in North America. You can also expect to break your wallet open a lot more in North America than in most of the other regions on this list, thanks to expensive transport, food, and accommodation. Some areas are cheaper than others, but in general, expect to spend more in this region. Canada is growing in popularity with international travelers thanks to an awesome working visa option and wide open beauty. An adventure seeker’s dream, Canada has something for everyone no matter the season. With a suggested daily budget of about $70-$80 CAD, Canada is about on par with many European countries. Transportation in Canada is fairly expensive but you can get a Canrail pass for $699 which gives you 7 one-way tickets, $899 for 10 one-way tickets, or $1,299 for unlimited travel. Tipping is big in Canada, so sitting down at a restaurant can be expensive at $15-$35 CA. If you want to save money on food, keep your eye out for cheap sandwich shops or cook your own meals. Lastly, accommodation rates are dependent on the city you are in but expect to pay around $30 CAD for a dorm and $60 and upwards for a hotel. The U.S. might be one of the most expensive destinations on this list but it is also one of the destinations with the most diversity in terms of culture and natural beauty. Almost anything you want to experience, from the tropics in Hawaii to the northern lights in Alaska, is on offer. The U.S. can be a fairly expensive destination because of high transportation and accommodation costs, but these costs can vary greatly from state to state with prices running highest on the coasts, in the national parks, and in Hawaii. A suggested daily budget is around $100 for decent meals, non-dorm accommodation, and transport. Travelers who prefer dorms should expect to pay about $30 for a dorm in New York or Los Angeles, but should also know that the US doesn’t have a big dorm culture. The best ways to save are to cook your own food, camp, and to couchsurf. Public transport isn’t great in the US, therefore road trips are popular for most visitors, either across the US or on the Pacific Coast Highway, among others. Mexico has a lot to offer from gorgeous beaches along two coasts, to the vibrant culture of Mexico city and Oaxaca, and of course Mexican cuisine, which has been added to the Intangible Cultural Heritage of Humanity List by UNESCO. Mexico is also known for its ancient Mayan ruins and tropical weather. As a result of this popularity Mexico can be a bit more expensive than its neighbors in Central America, even if you do skip the resorts, but it’s still much cheaper than the US or Canada. Accommodation in hostels begins at around $6 to $14 in budget hotels. For budget travelers, street food is the best option with tacos starting at $1. To travel around Mexico you can take buses using the ADO website and the cost ranges from $10-$40. Central America is a great choice for those on a budget who want to find a slightly older crowd on the road (more people in their 30s and 40s as opposed to more in their 20s in Southeast Asia). The most expensive countries to travel to in Central America are Costa Rica, Belize, and Panama. Excursions and activities such as zip lining or ATV tours in Costa Rica are always priced with American tourists in mind and are usually over $50. Entry to the parks for hiking without a guide will cost at least $15. In Belize, expect to pay more for diving and tours than you would elsewhere in Central America. Conversely, traveling to Guatemala, Nicaragua, El Salvador, or Honduras is more affordable. Accommodation can cost as low as $10 per night, and keep in mind that local public transportation is much cheaper than private, or ‘tourist’, transportation. Food is the best, tastiest, and cheapest when exploring the local street food. In countries like Guatemala, you can enjoy a full lunch “menu del día” for $5 or less! South America really varies in cost, but it’s still generally cheaper than most of Western Europe, Oceania, and North America. Plan on spending less in the countries farther north and a lot more in Brazil, Argentina, and Chile. That said, the buses are generally great, there’s camping and hostels, and varying degrees of luxury (and bang for your buck) as well. Transport: Check this guide for bus recommendations per country. Bolivia is one of the cheaper countries to travel to in South America. Accommodation costs for backpackers in dorms are cheaper than many other South American countries, ranging from around $10-20 for dorms and $15-30 for private rooms. Eating local meals will be cheaper (under $10) than westernized restaurants. Public transportation is very cheap, but the quality and safety is better on tourist buses, which are more expensive. When traveling in Bolivia, the most expensive thing you’re likely to encounter is activity costs. Tours to mountain bike down the World’s Most Dangerous Road, for example, vary depending on the safety gear provided, but range from $50-100. The Bolivian visa cost for Americans is steep at $160. Prices in Argentina tend to fluctuate thanks to an unstable currency. Sometimes, Argentina can be a great value to travel through and at other times, prices can essentially double. The black market on currency which used to make Argentina cheap is gone now, so don’t expect it to be as cheap as the glory days of yore. Hostels can run as much as $60 for a private room in popular places. Food can also be expensive, but when you’re eating delicious steak in Argentina, you just might be willing to overlook that. Colombia is affordable when it comes to local meals and accommodation. A typical bandeja paisa platter costs around $6-7. The menu of the day is always a tasty, affordable option as well. A nice hostel dorm can cost as low as $12 per night. Colombia can get expensive for transportation on overnight buses (around $50 one-way). In some cases it is more economical to fly via VivaColombia, Colombia’s budget airline. Prices for everything in popular cities like Medellín and Cartagena (especially in the historic center) are higher than in less traveled cities. Note that tourism in Colombia is rapidly growing, so price increases should be expected year over year. Chile’s economy is the strongest in Latin America. As such, expect Chile to be a more expensive place to visit. You can still save by camping through most of the country, ordering the menu del dia (menu of the day) for lunch, and you can even hitchhike through part of it pretty safely. Your budget can vary pretty wildly in Patagonia, in particular. I personally spent an average of $53 per day over 60 days there. Expect places like Easter Island to be super expensive for food and activities, and for the middle of the country and Santiago to be mid-range with lots of accommodation levels and options. Brazil is one of the most expensive countries in South America. The visa entry cost for Americans is $160 USD, $65 USD for Canadians and $35 USD for Australians. Since the 2016 Summer Olympics, prices in Rio have skyrocketed. Activities in Rio such as the Christ the Redeemer statue and Sugarloaf mountain cost around $15-20 and visiting the Brazil side of Iguazu Falls costs approximately $15-20. Accommodation in hostels ranges from $10 during low season to as much as $50-70 in high season. Traveling by buses runs from $20-80, so flights from around $80-100 may be a more efficient use of travel time for long distances considering that Brazil is such a massive country. Meals range from $10-20; consider the self-service option in which you can eat as much as you want for a fixed price! Peru has the potential to be pretty affordable. Where it can get expensive is depending on which activities you want to do and how independently you do them. For example, there are very expensive tours to Machu Picchu using the train and bus, but you can also travel to Machu Picchu independently and without the help of a tour for a fraction of the cost. Day trips to Huacachina or the 2 day/1 night Colca Canyon hike are about $20-50. Local meals and street food are the cheapest options while food in more tourist-heavy areas such as Cusco are more expensive. Lima, which is very much like any American city price-wise, is also inherently more expensive. There are many affordable accommodation options ranging from dorms to guest houses or hotels. Cruz del Sur is one of the better bus companies for the long-haul overnight journeys, but these tickets are more expensive than some of the less comfortable overnight bus companies. Western Europe includes the countries on Europe’s west coast from Portugal and Spain, to as far east as Germany, Italy, and Finland, and all of those in-between. This region isn’t a budget destination, but it does cater to travelers of every type from budget backpackers to high-end luxury travelers. Expect to pay about what you would in the US for most things, with some, sometimes extreme, variations. In general, the shoulder seasons in the autumn and spring are much cheaper than summer for accommodation and activities, and as of this writing in 2017, the exchange rate is better than it has been in years at USD $1 equaling 93 cents Euro. The beauty of traveling through Europe is that while the exchange might not be as great as countries like Vietnam or Cambodia, it’s easy and comfortable thanks to the infrastructure. Plus, you can stay for a whole 3 months with no visa required for most western nationalities. While the northern countries such as Norway and Sweden can be incredibly expensive, Greece, Spain and Portugal can offer amazing rates on food and accommodation. Moving slowly and planning ahead as much as possible will cut your transportation costs, and thanks to budget airlines like Ryanair and Norwegian, airline travel between countries like Italy and Greece can be as low as $65 one way. Many travelers also opt for the Eurail if they’ll be covering a lot of countries. Hit hard by the financial crisis and still recovering, Portugal is one of the cheapest places to visit in Western Europe. Locals are reportedly much better at speaking English in Portugal than the other countries located on the Iberian Peninsula, so getting around is fairly easy. Nomadic Matt has a suggested daily budget of around $26-$47 USD if you are staying in hostels and eating at cheaper restaurants. If you’re not into hostels, a quick Airbnb search shows entire homes from $30-$200. Lisbon, Portugal’s capital, has great public transportation starting at $1.50 and intercity trains and buses are very reasonably priced as well. A pint of beer in Portugal is around $2, and you can find reasonable priced snacks in bakeries for $2-$7 euros. A sit down restaurant should be around $10-$15 depending on if you buy alcohol. The cost of museums and other attractions ranges from $5-$12 and is often half or free with student ID or, in some cases, free after a certain time of day. Iceland is one of the most expensive countries to travel to, mostly because everything from food to vehicles has to be imported there. Expect to pay a lot for food, transportation, tours, and accommodation. Thankfully, though, the waterfalls and natural attractions are mostly free to see and experience, and you can cook your own food to save. 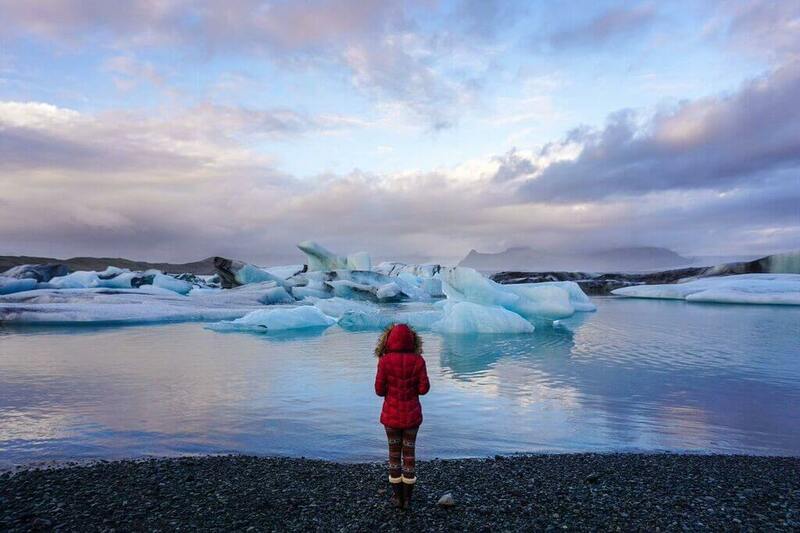 I spent $93 per day in Iceland, making it my most expensive country I’ve ever traveled through. Depending on where you want to go in Italy, the cost can vary quite dramatically. Rome, Milan, Venice and Cinque Terre will all most certainly be much more expensive than perhaps some less traveled destinations in Italy, like Bologna. That said, hostels are available starting at $20. Many cities in Italy also have good public transportation. A metro ticket in Rome is $1.50. Local trains in Italy are also reasonable with a ticket from Rome to Bologna costing as little as $19 euros with trenitalia. A daily food budget of $25 euros ought to help satisfy a pasta craving if you only eat fancy for one meal and consider shopping at markets for bread, cheese, and wine for other meals. There is also pretty decent street food in Italy with slices of square pizza for $1.50 and even some cheap pasta places for $5 a plate. Aperitivo is also popular in much of Italy, which is a happy hour with snacks and drink discounts. In some cases, wine is even cheaper than bottled water in Italy! Do note that in many places you might get charged extra for sitting on the terrace. Museums tend to run $5-$16 euros, and The Vatican and Sistine chapel cost $16 euros, or is free on the last Sunday of the month, or is half price with a student ID. Although many were quite sad to see the UK leave the EU, travelers may have done a secret happy dance, as it brought the dollar and the pound closer than they have ever been before, thus, making the UK a much more affordable place to visit. $1 USD equals 81 pence as of this writing. If you’re looking to go to London or the UK in general from October-April you’ll likely find the prices to be much more reasonable than the summer months. Dorm rooms in June in London start at £13, but in January start at £9.78. If you’re into museums you’re in luck as many are free, however the cathedrals, Buckingham Palace, and the Tower of London all have entry fees. The Tower and Buckingham palace together cost over £30. Public transportation in UK tends to be expensive as well. A trip from Liverpool to London can range from £25 to £150. Low cost travel options can be found through Megabus where if you book far enough in advance you can find bus tickets for as little as 1 GBP. England does have fairly cheap options for street food, and you can find kebab or fish and chips for around £6. Great wine, great food, beautiful mountains, rural farm lands and gorgeous coastline make France a much-loved destination. Despite France’s fame for being a rather expensive destination a smart traveler can get by on €47-€75 per day. Besides hostels and BnBs there are also several cheap hotel chains that are becoming popular on budget websites with prices beginning at €22 (in off peak) to around €60 (high season). Hostel dorms in Paris start around €20 and range higher or lower depending on region. As always, street food and bakeries will be cheaper than restaurants. Crepes from street vendors are delicious and cheap at around €4 for ham and cheese. It’s always possible to stop in a local delicatessen and buy bread, cured meats, and cheese for a great picnic of around €10-13. A bottle of wine can be as cheap as €6. Sit down restaurants can average $25 and up. Local transportation, like in most Western European countries, is very reliable and reasonable. Longer distance, the farther in advance you book the cheaper it will be. A ticket from Toulouse to Paris on the TGV high speed train begins at €74 for a 2nd class seat, for example. Major attractions are reasonable, at €7 for access to the second floor of the Eiffel Tower, and €17 for access to the elevator and 3rd floor. The Louvre is €15, Musee d’Orsay is €12, and the Dali Museum is €11.50. On the first Sunday of the month, museums are free. If you are 25 or under bring your student ID and you will receive discounts, and all EU nationals under 25 can enter most museums free of charge. The Czech Republic has been growing in popularity since the early ’00s and despite its location in Eastern Europe, it’s not as cheap as some of its neighbors. Consider a daily budget of USD $25-$50. Dorm beds and rooms range from $8-$20 but entire homes on Airbnb start at $40. Transportation in the capital, Prague, is fairly simple as they have a good network of trams, buses and subways. 30-minute tickets are the equivalent of $1 USD and 24-hour tickets are $4.65. Food in Prague is tasty and well priced, budget lunches and dinners can be found in pubs for around $7 and a pint of beer is $2. Museums range from $3-$8 with free walking tours on offer and free castle entrance. With Split gaining popularity and giving the Greek Islands a run for their money, Croatia has been called one of Eastern Europe’s best kept secrets, though largely the news is getting out and Croatia’s costs are rising. Accommodation in popular tourist spots such as Dubrovnik, Split, and Hvar range from $12 to $30 USD in dorms and mid range hotels. Public and local transportation is $1-$2 USD per ticket. Traveling by bus or ferry is the most common way to get around with bus tickets from Zadar to Dubrovnik costing around $26 USD and a ferry from Split to Hvar starting at $10 in off season. A sit down meal runs from $10-$20. Just north of Greece, Albania, like Croatia, is one of Europe’s best kept secrets. On the road to recovery from a civil war in the ’90s, Albania is finally showing off her beautiful coastline. As one of the most underdeveloped European nations, Albania’s public transportation can be a bit bumpy but cheap. A bus in Tirana runs every 10 minutes on 12 routes to various cities and is 40 lek. Accommodation in Albania begins at $30-$50 USD for top end hotels and $9-$15 in budget hostels. Finally, eating at a midrange restaurant will run you $5-$10. With fun festivals, great architecture, and sweet old world charm it’s no wonder Serbia has been popping up on many budget travel lists. Hostels in Belgrade start at around $11 USD but beware that some smaller cities may not have hostels. Guest houses run closer to $20 USD. Buses in Serbia cost around $2-$5 USD and short train rides from city to city are $4-$7. A cup of coffee is cheap at $1 and kebab can be about $2-$3. The good news for travelers visiting Russia these days is that the devaluation of the Russian ruble makes tourist’s pockets a little heavier. Costs are almost half what they were just two years ago, specifically for food and accommodation. Expect to pay about $50 per day in Russia, and consider the visa cost, which for US citizens, is $160. Click here for a comprehensive Russian travel costs guide. Cost of travel around the Middle East can vary greatly depending on country and activity. While there are some cities like Cairo, Egypt that can be as cheap as $18.75 USD per day, Dubai in the UAE can be over $200. Tourism has dropped due to bad press in former tourist hotspots like Turkey (which wasn’t much cheaper than countries like Greece or Spain) and Egypt, causing prices to drop there as well. If you don’t want to brave it there you can check out Oman which, while considerably more expensive, is known as one of the cleanest and safest countries in the Middle East. If you are looking to travel to Dubai, U.S. citizens get a free 30 day visa on arrival. While Dubai is known to be pricy you can keep costs down by avoiding peak season (December and January) and staying in hostel dorms which range from $23-$34 USD, or in a private rooms which range from $47-$118. If you are looking to save cash, eat Shwarma (wraps that are similar to Greek Gyros), it is a great local snack and ranges from $1.36-$2.18. If you’re not tight on money check out any sit down restaurant and where prices can be as low as $10 or almost limitless in the other direction. Public transportation in Dubai is fairly cheap. Dubai has a metro, tram, and monorail to get you almost anywhere you need to go. Fares for the metro begin at $2 AED (less than one dollar). The tram is 3 AED and the monorail is 16 AED. Traveling around Israel might not be as cheap as you’d like but you certainly will get quality for what you pay for. Israel has a growing network of hostels with rooms starting at $20 USD. Buses are the most popular mode of travel often offering free wifi. A bus from Jerusalem to Tel Aviv is $5 USD. The quality of food is very high in Israel and can be quite affordable. Falafel is delicious and only cost about $2 USD. Many people view Turkey as the place where East meets West and in many ways it is. There’s even some debate as to whether or not it should be classified as European. Turkey isn’t a particularly expensive destination, with dorms in Istanbul starting at $10 USD and entire homes on Airbnb starting at $40. Food in Turkey is similar to Mediterranean food but with more spice and flavor. Street food in Turkey is quite delicious with pinerli, a type of turkish pizza, starting at $2.50. Hot air balloon rides in Cappadocia range from $100-$175 per person. Jordan is a country of extremes when it comes to cost. Whilst you can get some really good cheap eats in Amman (costing $4-5 USD for a great meal), you’ll struggle to get even rice, veg and chicken for less than $21 USD in rural areas! This is the same with accommodation, you’ll be faced with staying in a rather dark and dreary and likely dirty room with shared bathroom for around $15 USD, or paying well over $60 USD for a pretty basic but clean ensuite room. The best way to get around is by hiring a car, which cost us $20 USD a day (for a Hyundai eon). You can “save” money by buying the Jordan pass online before you arrive (it is still $99-113 USD, depending how long you spend in Petra). This includes the cost of the visa (normally $60 USD) and entry to 40 sights (including Petra, Wadi Rum and Jerash). Due to the costs, most travellers rush through Jordan, covering a lot of this small country in just a week. But don’t let cost put you off. Jordan’s an incredible place to visit and you’ll have some amazing experiences that you just can’t get anywhere else. A rise in protests and political instability in Northern Africa have made places like Libya and Egypt a bit less tempting to travel to these days. However, as any seasoned traveler knows, things aren’t always as bad as they appear and there are still some countries in Northern Africa that are safe and cheap. If you’re still dying to go to Northern Africa but not sure where to start, consider Morocco, though it’s not exactly cheap. It is easy to fly into, and requires no visa for US citizens. If you fly into Morocco you will likely land at Casablanca airport and from there it is fairly simple to take a train, bus, or taxi to many of the most popular cities such as Marrakesh and Fez. By taxi from Casablanca to Fez is about 3 hours and $147 USD. Once inside the city there are city buses for 50 cents. Dorms in Morocco begin at $6 USD, rooms on Airbnb begin at $15 USD, or if you have some extra cash, check out booking.com to stay in Riad, which is a traditional Moroccan house built around a courtyard typically, starting at $40. A typical Moroccan meal will range $3-5 and a higher-end meal is $12. A bottle of beer is $ 3 USD and water is $0.60 USD. Museums are typically $2-$6 and camel trekking is $50. A daily suggested budget runs between $30-$60 a day. *Money saving tip: Negotiate your hostel or hotel in person. Be wary of touts trying to steer you the wrong way or scam you. This part of the world has the potential to be mid-range if you camp, cook your own food and/or stay at backpacker accommodation. It also has the potential to be incredibly expensive and high into the luxury end, with very little in the middle. Transportation can be difficult and you might be scratching your head wondering how locals afford $30 taxis to go short distances, until you see how overpacked and dangerous the cars and vans are. Hiring a private car, or even buying one, can sometimes be more economical in South Africa, Botswana, and Namibia, but as soon as the roads turn to dirt and mud as you head farther north, you’ll want a 4×4 and they can be very expensive to rent. National Park fees and safaris can get expensive too, ranging from as cheap as $80 per day for a safari to thousands. It used to cost a lot more to travel in South Africa, but lately with the value of the Rand falling, it’s becoming a cheaper and cheaper destination, particularly for a part of the world that can be on the expensive side. The big cities cost the most, and the rural areas tend to be the cheapest. The backpackers accommodation has everything from camping to higher-end rooms and are great places to stay with communal spaces and friendly vibes. My personal spend was $56 per day in South Africa, which included renting a car, staying in a mixture of dorms and with friends, and eating out often instead of cooking (because I was feeling lazy and BBQ, or braai, in South Africa is delicious). Mozambique runs pretty similar to South Africa in terms of pricing. A plate of delicious, fresh seafood will cost you $6-$12 at most beachside shacks, while buying directly from a fisherman can be pennies on the dollar. Transport is slightly expensive, annoying to use, and something you should definitely haggle on, which will be your biggest price consideration. Activities like SCUBA diving and boating around the islands can get very expensive, while accommodation is well-priced at $15-$20 per person for a private beach bungalow with a mosquito net and fan. Kenya had focused much of its attention on luxury tours and safaris in the past, but more recently has begun to focus attention on budget travelers as well. Backpackers accommodations offer dorms from $6-$12 depending on location, mid-range hotels cost $15-$30, and high-end hotels can go into the thousands. Eating in Kenya can be very cheap if you eat local. A typical Kenyan meal is just 0.87. If you prefer to eat Western meals, you ‘ll likely pay $4-$8. Some attractions in Kenya are costly, such as Nairobi National Park for $40 per day and Maasai Mara Game Reserve for$60 per day, but for the most part Kenya is a more budget friendly destination than its neighbors. Purchase an East Africa visa for $100 which gives you access to Kenya, Uganda, and Rwanda. Tanzania can get very costly very quickly due to the pricing of major activities. Safaris to the Serengeti (click here for a discount) and Ngorongoro Crater each run several hundred to several thousand dollars, and climbing Kilimanjaro is in the thousands as well. The visa for Tanzania is also expensive, at $100 for US citizens. It gets cheaper when it comes to local buses, which are just a few dollars for long distances, and food can run just a few dollars per day from street vendors and cafes, and accommodation in guest houses starts at $16 per night. Hanging out in the Indian Ocean covered in lagoons, rainforests and waterfalls the island of Mauritius is the definition of paradise. But how much does it cost to go to this particular paradise? This luxurious island offers hotels on the budget end for $48-$85 and upwards for the fancy hotels and resorts. Public buses are cheap, and an opportunity to meet locals, so try one out for only $0.34-$0.86. Regular restaurants meals are $9 while a 4 course meal at a midrange restaurant for 2 people costs $35. The Caucasus region is not commonly traveled and still very affordable, though Azerbaijan is generally more expensive than Armenia and Georgia. Americans don’t need visas to enter the region through Georgia or Armenia, though Azerbaijan requires payment for a visa on arrival ($20). Hotels or hostels cost around $20-40 per night for private rooms, while homestays are cheaper options. Food can be as cheap as $5. Rides in shared vans are common for public transportation in addition to buses or private taxis. Clean, inviting, affordable, and understated, Georgia is a hidden gem. Accommodation in Georgia starts at around $10 USD. In Tsibilis, public transportation is easy to use and cheap costing 0,50 Lari which is nearly 19 cents. Food in Georgia is also quite cheap with meals costing as little as $2.50. Such a meal includes a type of dumpling called Khinkali which are sold for 0.30 each. Activities such as museums range from $0.60 to $2.00 and are cheaper for students. Despite recent improvements in Tajikstan’s tourist infrastructure this remains a little-traveled to destination partly due to the the police corruption of the past and partly due to the fact that it’s not as cheap as some nearby alternatives. This is due to high costs of transportation. A suggested daily budget for two people is $89. Hotels in Tajikstan average about $30 USD per night. For an incredible experience, you can do a homestay or stay in a yurt for about $15. Local dishes will cost $3-$5 while western meals will cost $5-$10. Battered by decades of war, Afghanistan is not the type of place many people plan on visiting. It is, however, on many people’s bucket lists and a handful of intrepid travelers make it there every year. War has ravaged the county’s economy, and most goods need to be imported. Coupled with the need to fly everywhere for more than $100 round-trip, and sleep in hotels with security for $30+ per night, Afghanistan is a relatively expensive place to travel, though it can be done for about $50-75 per day. Kazakhstan was long known as the most expensive Central Asian country to travel in. Luckily, with the recent devaluation of its currency, those times have passed. Due to its massive size and poor connections, getting around in Kazakhstan can be expensive, but hitchhiking is common. Besides sizable transport costs, other costs such as food, sights, and accommodation are all reasonably cheap, making travel in Kazakhstan possible for $25 per day or less. Kyrgyzstan is the country of choice for most travelers interested in trying out Central Asia, and thus most well-suited to travelers of all budgets. There are hostels to be found for less than $10 per night in all of Kyrgyzstan’s major destinations, and homely community-based tourism home stays in other locations for about the same price. Cheap (if grubby) minibuses are available to every destination under the sun, and budget-friendly canteens are a dime a dozen… though Kyrgyzstan being Central Asian, don’t expect anything too tantalizing. Uzbekistan is the stuff Silk Road dreams are made of. Towering mosques and mausoleums rise every which way you look, and its old cities are a maze of sand-colored buildings and narrow alleyways. Older package tourists from Europe currently comprise the majority of visitors to Uzbekistan, so some tourist activities can be a bit costly in nature. However, with dorms in hostels and guesthouses available for about $10 per night, and markets galore with fresh breads and cheeses for less than $1, it’s definitely possible to travel Uzbekistan on a backpacker budget. Tiny Armenia is often overlooked by travelers, but that will change soon! It’s a marvelous country filled with epic monasteries and churches, stunning mountains and rolling hills, and a million places to sit and sip wine for an afternoon. Armenia was the first country to officially adopt Christianity as the state religion, and believes it should be accessible to all, meaning all religious sites are free to enter! It’s also one of the oldest winemaking countries, so cheap and delicious sweet wine is widely available for rock bottom prices. Accommodation can be on the higher side, at around $20 a night, but everything else is so cheap, you won’t even notice. Overall, East Asia will feel pretty expensive if you spend it mostly in Japan and South Korea. China, on the other hand, doesn’t have to be as expensive, especially if you stay in dorms and eat cheap. Spots like Hong Kong will make you break open your wallet again, and Taiwan lands somewhere in the middle, with prices easily reaching that of the US for some things, like high-end food and clothing, and super cheap for others, like accommodation and street food. Believe it or not, Japan might not be as costly as you’ve heard. Hostels start at about $20 a night, which is no worse than Paris or London. Private ryokans can cost as little as $40 a night. If you’re craving sushi you can find sushi trains selling 6 pieces of sushi for $2 and ramen for $6. Transportation around Japan can get costly, particularly if you take a bullet train, which can cost nearly $100 for one hour. However the rail pass could make a lot of sense if you’re hitting lots of spots (thanks commenter Rachel for the info! ), or to save money consider a bus which costs about 60 yen, or 50 cents. China’s big cities have all kinds of fancy restaurants and hotels that can eat right into your budget in a big way, but it’s also possible to stay in hostels, which might just be the best-value hostels in the world at $5-$10 per night, and eat street food for just a few dollars per plate. Transportation can run a bit more expensive at $20+ for 8-hour buses and upwards from there. China is a huge country and therefore, moving around quickly and on higher classes of train can add up quickly. My personal spend was about $50 per day, and I was hitchhiking to avoid train costs. South Korean boasts one of the most educated populations where 78% of them are on smart phones. The cost of traveling in South Korea is about $50 dollars a day but you could do it on a shoestring for closer to $30. Soups like kimchi jjigae can be found for $4-$6 and are full of delicious vegetables like cabbage and sprouts. The cheapest option for accommodation is jjimjilbang. This is a public bathhouse and costs $6-$10, though you will be sleeping on a mat in a room with other people. Nestled between Russia and China, Mongolia is a country with more horses than people. Mongolia offers unique cultural and outdoor adventures that aren’t packed with tourists. A single entry visa to Mongolia costs $53 and has an average daily cost of $50 per day. Transportation in and out of Mongolia can be a bit expensive, with trains from Beijing to Ulaanbaatar costing over $190 one way. A cheaper third option includes an overnight bus, a local jeep ride, then a local train ride for around $80. Flights are typically quite expensive but still an option if you are tight on time and have extra cash. Hostels in the Mongolian capital of Ulaanbaatar are around $6-$15 a night and many only take USD, so carry both forms of currency. Expect food to cost $4-$7 per day and just 0.78 per beer! Southeast Asia is among the cheapest regions in the world to travel through. It’s also one of the easiest, often referred to as the ‘banana pancake trail’ thanks to how well it accommodates backpackers of all ages. On a shoestring, it’s even possible to travel through Southeast Asia for the golden $30 per day. I personally spent $6k on 6 months in the region, if you subtract my expensive SCUBA diving habit. A favorite amongst backpackers and luxury vacationers alike, Thailand is the cheapest in the north and gets more expensive in the islands to the south. If you stick to hostels, it’s easy to maintain a tight budget, but when eating in restaurants and staying in fancy hotels, it can get expensive as well. I averaged $45/day in Thailand. If you stick to the delicious (and usually very healthy and fresh) street food and the hostels in Vietnam, you can easily get by on less than in Thailand. My personal spend for one month there was $36 per day on average. Indonesia is another place that can be dirt cheap, or pretty good affordable luxury value if you want to spend more and have more comfort. There are a lot more tourist transport options and expensive restaurants in Indonesia that can really add up, but don’t forget there’s always a way that locals get around (like a local ferry instead of a tourist boat) and eat, too. Find those options and you can easily keep to $30 per day. Cambodia is one of the cheapest countries in Southeast Asia, a region that’s already dirt cheap. You can find dorms for as little as $2 per night! Beer is, thankfully, also pretty cheap and delicious at as little as 75 cents during happy hour. If you’ve got a little more money to throw around, you’ll be pretty impressed by how far $25 will go towards a room in a decent hotel. I spent $30 per day in Cambodia. Like Cambodia, Laos is also super cheap and can be done for $30 per day. I found that transport was a bit more expensive there, but other things like accommodation, food, and many activities were cheap (like a $1.50 entry fee to view a stunning waterfall) or free. Here’s my budget guide for Laos. The Philippines is another pretty cheap destination, as long as you don’t move around too often. Islands are farther apart and require a lot more planes and ferries. I spent about $45/day in the Philippines (excluding scuba diving). Malaysia is often rumored as an expensive country (by Southeast Asia’s standards) to travel in. After spending a solid month backpacking through Peninsular Malaysia, I attest that a Malaysia travel budget does not have to break the bank. I spent about $37/day in Peninsular Malaysia. Borneo, on the other hand, due to the exclusivity of activities, can be much more expensive to travel in. I averaged $62/day in Borneo, making this my most expensive Southeast Asian destination yet. In general, South Asia is one of the cheapest regions in the world that you can travel in, with a few exceptions. India and Nepal are amongst the absolute cheapest places in the world to eat, get around, and sleep in, while Bhutan and the Maldives can cost upwards of hundreds or even thousands of dollars per day. In order to travel to Bhutan you will pay a $250 surcharge per day but this will cover all of your accommodation, transportation, food, and guide services. Bhutan maintains that it charges tourists this $250 daily charge in order to ensure that Bhutan retains the type of tourist they want. Although $250 per day might be restrictive for some, Bhutan remains one of the most authentic countries you will ever visit. While the Maldives is certainly famous for catering to the rich and famous, believe it or not, hostels and cheaper, local guest houses and mid-range resorts mean it’s more within reach than it has been in the past, at as cheap as $100/day with activities like diving, food, and lodging included. Cheaper flights with Air Asia and Sri Lankan Airlines also make it easier to get to than it’s ever been. Prior to going to India you will have to apply for a visa. India has a fairly straightforward online application, and if you want to go for 30 days it costs $60 for US passport holders and $48 for EU passport holders. India is perhaps the cheapest country to travel to, but if and only if you’re willing to haggle and hunt for deals. Keep in mind that cheap rooms that run in the $3 range will be very basic and it’s normal to shower with buckets of heated water. You will be hard pressed to find cheap gems in the North but the South with its gorgeous beaches may prove more fruitful when it comes to budget accommodation. Expect to pay 200-600 rupees depending on your haggling skills. India has loads of growing hotel sites, such as OYO and Cleartrip, that will display “affordable” rooms for around 400INR-600INR (5-7 USD). The best trick is to look up these hotels then go there and try to negotiate a price directly with them. Travel by train in India is absolutely dirt cheap, but book your tickets yourself! Do not trust a local “travel agency” to do it or you might get a train to find you don’t have a ticket. In order to book online you will have to get an account with Indiarail – here’s a guide to help with that. When you book trains you will be asked which class you want, and while the AC 2 tier might be a little pricier, for the overnight journeys it is well worth it. Flights within India are also very cheap with flights from Mumbai to Goa going for as little as $30. Buses and metros are fairly good and reliable, especially in New Delhi and Mumbai. They also have Uber and Ola which will take you 10 miles for about $300 INR/ $4.41 USD. Local buses are between $25-$100 INR or $0.37-$1.10 USD depending on the distance you travel. A sit down dinner for two people can be 600 rupees or $8.81 USD (if you feel like splurging). Street food is delicious and absolutely worth trying as well. Samosas are about $20-$40INR. Bottled water is a must and runs $20-$40 INR or $0.30 USD, or bring water purifying tablets. Sights for tourist will often be $500 -$1000 INR. In general, a daily budget of $30 USD a day for 1 should be plenty, though on a shoestring it can be even cheaper. Sri Lanka is a cheap country in some ways and in others, can be quite expensive. Tourism is one of the biggest and fastest growing industries at the moment, and everything from guesthouse rooms to fancy hotels are springing up. Generally, transport is very cheap with train tickets running at just a few dollars, while guesthouses can be more like $20 for a room, which is sometimes hard to swing for a solo traveler. Food runs at about $3-$5 USD for local food. Where Sri Lanka gets expensive is its activities and heritage sites, such as in the Cultural Triangle, which tend to cost around $40 or more per site. My personal spend in Sri Lanka was $50/day. Much like India, Nepal is a very cheap country to travel through, with most food, accommodation, and transport running at just a few dollars if you eat, sleep, and travel using local options. If you end up trekking, as long as you do so independently and avoid Mt. Everest itself, which costs tens of thousands of dollars, you can travel for as cheap as $8 per day on food and accommodation at the lower elevations, and closer to $15 USD at higher elevations on popular routes like the Annapurna Circuit. While incredibly beautiful, easy to travel through, and safe, Oceania is not a budget destination. The large, major countries in Oceania are Australia and New Zealand and both are expensive. Though the currency exchange is still in one’s favor if traveling on the US Dollar, Euro, or GBP, prices for food, accommodation, transport, and activities are all quite high. Traveling in Australia doesn’t come cheap. A 3-month tourist visa is free for North Americans and Europeans and working holiday and work and holiday visas are available as well for a fee, depending on where you’re from. Hotels in Australia are expensive, but what many do is buy and then resell a camper van and road trip through, saving on accommodation costs as well as public transportation costs. Australia is a massive country, so budget in higher costs for gas and flights. Accommodation for hostels is around $15-$20 for a dorm bed, and many have kitchens where you can cook your own food to save money. Expect to spend upwards of $20 per plate at midrange restaurants and especially high prices on alcoholic beverages, even at grocery stores and bottle shops. The South Pacific is thought of as an expensive travel destination, with overwater bungalows in fancy resorts, but it’s actually not as budget-breaking as you might expect. Flights to the Cook Islands from Australia or New Zealand start at about $400 return. The good news is there are plenty of free activities to do in the South Pacific islands in nature like swim, snorkel, or hike. Accommodation is where most of your money will be spent, with hotels starting at around $100 on some islands, and closer to $10 on others, while food could be as cheap as $10. If you’re a beach lover, want some tropical warmth and are willing to spend a bit more than you would in Asia, this could be a great region to focus on. Antarctica is an incredibly expensive travel destination because it can only be accessed by boat. There are ways to save money by booking a last minute deal out of Ushuaia, Argentina. Still, Antarctica could be the most expensive place you ever visit at a total cost of $10,000-15,000 including airfare to Ushuaia, hostels in Ushuaia, the cruise to Antarctica, and meals. Depending on the length and luxury of the cruise, they can even get up into the $25k+ range. 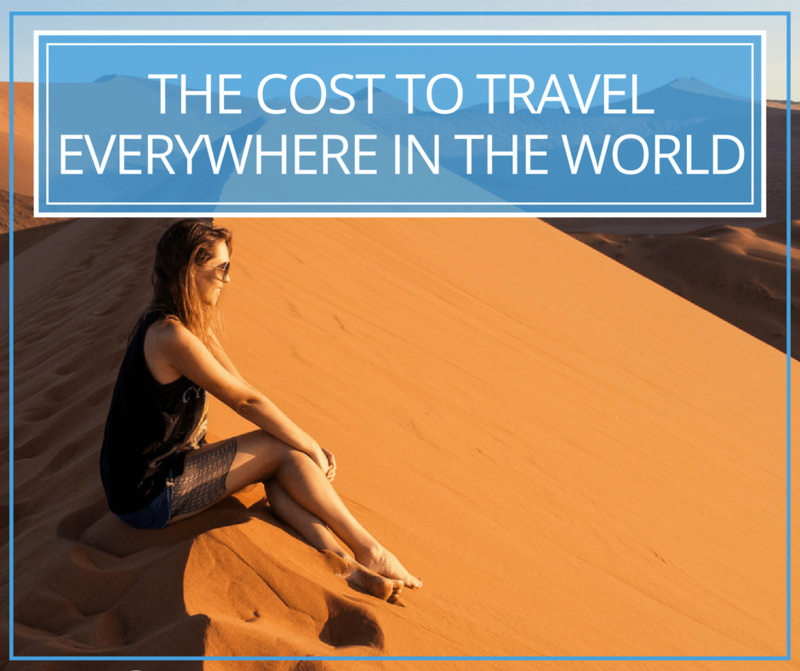 Over 7,000 words later, this is the cost to travel anywhere in the world, so get out your globe and start planning! This is an ever growing and evolving list. 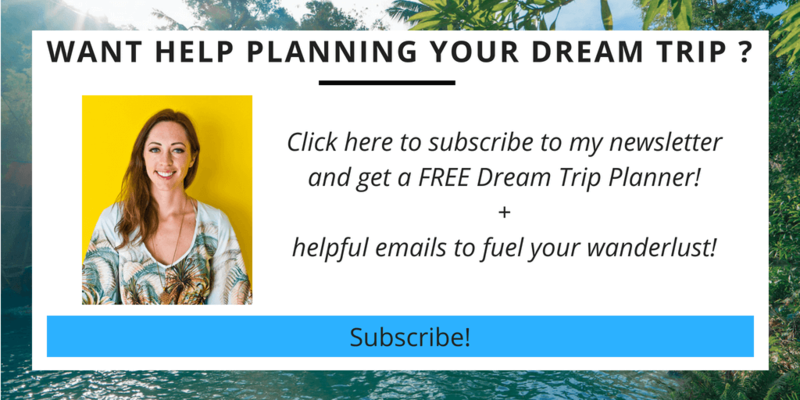 If you’ve been to any of the countries on, or not yet on this list (and especially if you’ve written or know of a comprehensive budget guide), leave a comment below with a link and 4-5 sentences on what you spent there and I’ll add you to the list! I am all about affordability but the I would like to balance that with safety. Maybe I have missed that in your posts, but have you addressed that part? Hi Keith, I think safety is important too, but I also think that in general, the rest of the world gets made out to look like a dangerous place when it’s really not. This portrayal of the world as dangerous is both incredibly wrong and also damaging to humanity as a whole. There’s petty theft in most of the places I travel to, but the only country that I frequent that’s more dangerous than the one I’m from is South Africa, and I’ve been to almost 50 countries. Basically, don’t be flashy, trust your intuition, carry a dummy wallet, don’t get intoxicated out by yourself, and be very careful about walking around alone late at night. Ask the locals who work at the place you’re staying what you should be aware of as well. Safety is super important, but I was surprised by how wrong my impression of the world was before I started traveling, and now I feel passionately that the image of a dangerous world holds us back from seeing it, and that’s just too bad! I love this reply and your quote: “This portrayal of the world as dangerous is both incredibly wrong and also damaging to humanity as a whole. ” I so feel you on this. Awesome list and information and I love your response about “danger”- thanks so much! Kristin, what did you feel was dangerous about south Africa? I’m planning on going there in May so want to make sure I’m cautious. The crime rate is high. Just don’t walk around in big cities and if you’re driving, have nothing at all visible in the car, even cheap sunglasses. What a great (and unique) resource! Thank you so much for sharing. I rented an apartment in Ratchaprarop Tower Mansions in Bangkok for 6 months for just over 6000 baht a month. Including bills it was about 8-9000 in total which works out as £180 or $230. It was just 1 room with a shower, aircon, some furniture & a balcony but way better than staying in dorms & cheaper overall. You could find somewhere further out for even less (it’s about 15 mins walk from Erawan Shrine). All you need to rent in Thailand is money & a passport. Nothing else. I only had the 30 day visa on arrival. It’s worth considering if you wanna stay in a country a bit longer. Thanks for sharing that John! It’s definitely cheaper to stay put in one place than to move around, and your super cheap rent proves that. I’ve heard similar stories in Chiang Mai and Ho Chi Minh City. Thanks for sharing, Kristin! This is truly helpful and enlightening. I’m curious to know how long you stayed in Antartica and how much you spent while there? I didn’t personally visit Antarctica. Many of these posts are drawn from research and you’ll find links in the paragraphs to where the info was gathered. Hi Crystal, I went to Antarctica on a study abroad almost ten years ago and it was really expensive. The only way I know of to get around this is to work for a tour company that goes there, or to apply for a position at a science station. If you are not a scientist, there are still support jobs like cooking and setting up camps, etc. But that is roughing it a bit much even for me, lol! It’s worth going and I would recommend trying to get a job with one of the tour companies over not going at all. Our expedition was through Quark: https://www.quarkexpeditions.com/en. Good luck! You might want to add a mention of the Japan Rail Pass (http://www.japanrailpass.net/en/), it seems pricey at first glance, but if you’re planning on doing much traveling around the country, especially by bullet train, it ends up saving you a lot of money and makes it easy to get around! This is a great document that I’ve already passed on to a few people– I can appreciate how much work went into this! Thank you. Thanks for that Rachel I’m adding it now! Thank you for this list!!!!! I’ve been reminded about the draw of the Caucasus/Central Asia, as well as the south Pacific. Another factor to consider with all these places though is how much airfare would cost. Like India is hella cheap but to most people living in the US that plane ticket will be expensive, whereas Europe is expensive but it’s quite cheap to fly there. And I’m a fan of travel hacking too! I will probably do a post on that in the near future. Thanks you so much for sharing this! 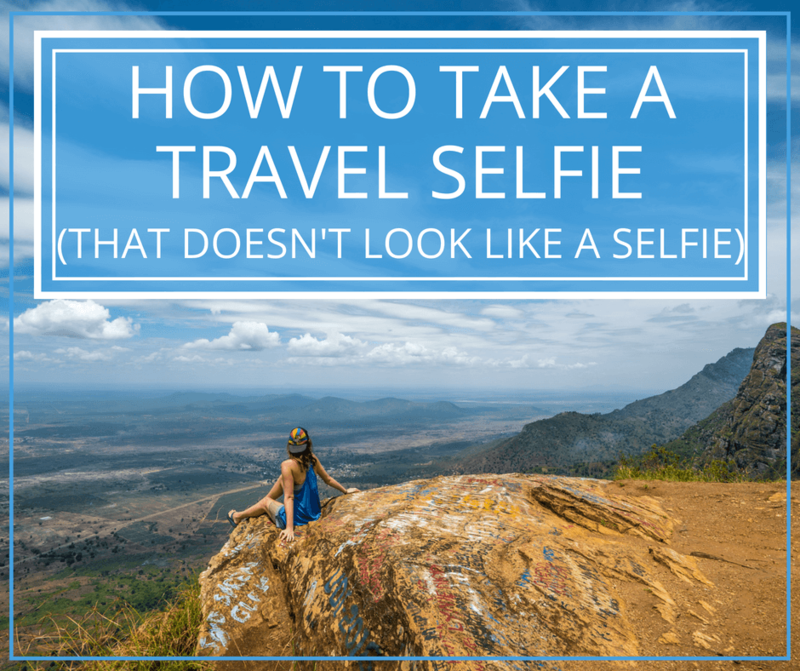 It’s definitely not the sexiest topic in travel, but surely the first one we all think about. So appreciative you shared your experience on this! This is such a great resource! Thank you for taking the time to put this all together! Yep Indonesia can be super cheap if you travel and eat local! Super informative post Kristin, thanks for putting it together! An all in One list. Absolutely loving this. I like that Bolivia is the cheapest to travel in South America as I do plan to visit there soon, $15-$30 for the private room is not bad for me. Thank you for this. You rock! Wow this is an incredible helpful guide! 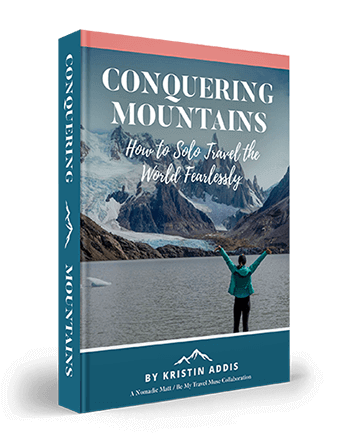 I am definitely bookmarking this to help with my travel plans! thank you! What a list! Impressive! Thanks for sharing. Some thoughts about the Middle East section. Lebanon and Jordan would deserve an article as well. I wonder what you meant by “attacks by the Arab Spring”? It sounds like you’re talking about a terrorist organization, while the so called Arab Spring was an attempt by the citizens of Arab countries to peacefully get rid of decades of dictatorship. I agree and if you’d like to contribute some words on either or both I’d welcome that! I don’t think it’s a terrorist group, I’m just referencing the incident. I think you should include Wales in the UK section as it is often much better money than England and much less expensive than London! Cardiff is the capital and is awesome it has history, culture, beaches (on the outskirts) and loads of culinary delights. Although the accommodation is not always as cheap as you can find in London due to it being much smaller and only just finding its feet in terms of developing Hostels you can still find cheap digs and your money will go further here than in England. Outside of Cardiff other awesome parts of Wales include Pembrokshire Coast, The Gower, Snowdonia National Park, Blue Lagoon, The Valleys – super cheap and good for walking, Port Meirion, The Brecon Beacons and just so many more. There is so many opportunities for sightseeing, outdoor activities, photography, beautiful beaches, heritage, history and of course Castles; Wales is FULL of Castles! I could go on and on all day and that isn’t really what I come here to do I was just going to suggest you consider Wales on the UK section; and Ireland and Scotland too they are part of the UK… got a little carried away! 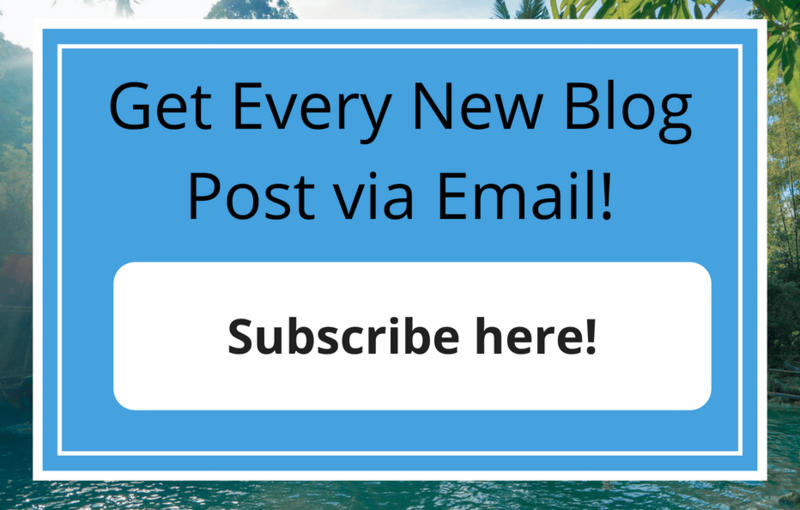 Love your blog I have just come across it and have spent hours so far going through your posts! Totally open to including any new area I just need some specifics as far as prices like you see in the article and I’m happy to put it in! Ok I’m commenting on this super late but just wanted to thank you for an awesome article! I had no idea South Pacific could be that cheap. I’d also like to say something about bus travel. I don’t think busses in Brazil are cheap at all, I’d say about 30-40 euros for 5-6 hrs of travelling and close to 80 e for some longer distances (which for me is expensive but I guess it does fall into the midrange category). And then again in Europe you have some great budget busses like meinfernbus in Germany that can get you long distances for about 5-15 euros, Onnibus in Finland with tickets starting from whopping 1 euro for all routes and the lux express which has routes all over and cost me something like 15 e between warsaw and riga (with personal tv screens with movies and music 🙂 ). Also the Baltic countries are a really cheap and nice holiday destination right between the Western and Eastern parts of Europe. True they’re cheaper in Europe while trains here are crazy! There’s slightly confirmed incidents where if you can allow the time to wait around in Tierra del Diego, Ushuia Argentina, that a last minute ride to the Great White South can be had for about $1,000. Depending on which boat, crew and season I assume. That’s a far cry less than the typical price. Without being myself, I have confirmed that there’s also other destinations in the Middle East that are quite cheap, particularly Pakistan and Iran. Tierra del Fuego? Possible! Sounds reallllly cheap for Antarctica, though. WOW! This is absolutely amazing. Thanks for putting it together! We discovered this article on Pinterest as well, very informative! Saved this to our page so we can reference it while planning our travels! I did like 10 years ago and need to go back! I hardly believe it myself, but at the moment I’m managing Iceland on about $30 per day. It’s on par with the cheapest countries I visited in East Asia. Although I’m admittedly on a long hiking trip and pitch my tent at campsites or in the wild every day. But it can still be done, which is nice to know! That’s awesome! We are working on a blog post about Iceland and would love to talk to you about how you’re doing it so cheap! We spent wayyy too much money in Iceland, even though we slept in our car half the time! Amazing post, so detailed! 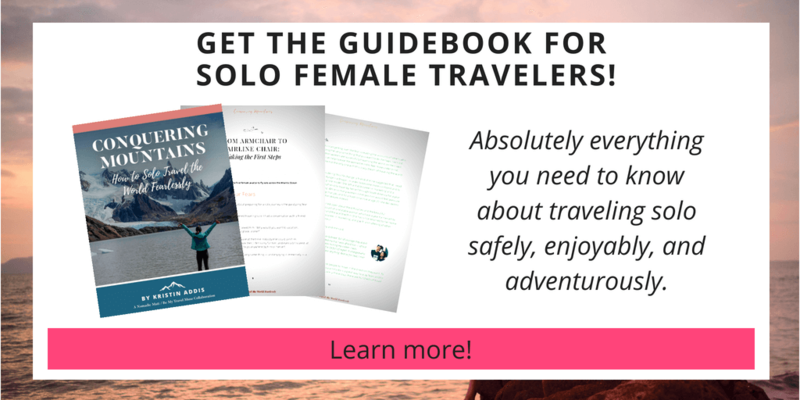 Very useful as a quick go-to guide, definitely fueled our wanderlust! I have been to Israel several times, unfortunately hard to fit in 4-5 sentences, kind of complicated. Youth hostels are great there (although do need to do a little research just like any hotels). Youth hostels are clean as a cheaper alternative to anything there, costs these days I am guessing $30-$50 USD a night, at least for ones in Jerusalem area (Christian owned ones I hear are reasonably priced, and simple). Sorry, can’t be more helpful since haven’t been there since 2000. However, the one thing I wanted to mention is the Birthright program. Please note that there is a birthright program for those of Jewish ancestry age 18 to 26, and have never been there where you may be eligible for a free 10 day trip. It is really free and the only strings attached is you choose from a list of itineraries and from many countries there are tons of them to choose from. But you lose spontaneity and these are not solo trips (although one option is an outdoor 10 day extreme adventure trip). However, since this is about cost and it is free for some, wanted to mention it. The link for more information is https://www.birthrightisrael.com/information (for those over 26 there are scholarships around for first-timers too, but those change from year to year so no link, can search). Lastly, one can try to experience a kibbutz, the one I went to in 2000 now is a fully privatized resort like a five star hotel at $300 USD a night but there are more genuine experiences in simpler places like Kibbutz Inbar for under $70 USD a night. All provide breakfast I believe. The food blows you away. If you have loads of money, this can be better than the fanciest hotel and they include great nature based tours and eco-tours (although some are hypocrites!). A kibbutz (or moshav which allowed some private income) used to be collectives where everyone shared everything (including clothing), jobs (including leadership) rotated around (even if you sucked at it), and even in some cases, the children lived together in a dormitory of sorts. It was a tough life, but fulfilling to some (most Israelis did not live in kibbutzim even in the beginning, but they were the backbone of the pioneering spirit). A bunch of my friends growing up did Birthright and it sounds awesome! Definitely something to take advantage of for those who qualify! Thanks for the great information. Definitely some of my bucket list destinations! Can you tell me if there is any type of social network where individuals traveling solo could meet up for a day or two? For hikes, share a meal or advice before heading on your separate ways? I’d suggest couchsurfing.org, meetup.com, or Girls LOVE Travel on Facebook. For South East Asia, I think you missed Singapore, the place where you can break your pocket easily. I can’t recommend Singapore for tight budget traveller, coz other countries around are a lot cheaper and more to explore. Also you missed Malaysia. This place is not as cheap as Thailand, but not as expensive as Singapore. Ah thanks for the reminder! I’ve been to both and Singapore is the most expensive, yes, but eating at the hawker centers and taking local transport help a lot. Thank you for putting all of this together. I have often seen costs highlighted in individual posts, but I have never seen such a comprehensive list. Do you have any information about Republic of Tuva? Nope but you’re welcome to share some if you do! I am a teenager from India and enjoy Travelling a lot. Thank you for putting all these things together. PS. I have pinned it! What a great blog post! It’s so informative. I knew most of it, but I just like how you presented it. Traveling in the US just costs too much unless you are into camping. It’s also super inconvenient if you don’t have a car. I think you missed Myanmar. That country is not as cheap as the rest of Southeast Asia. Yes I do need to add in Myanmar. I haven’t been yet! There is some crime but it also depends on which country you visit. I would not go out alone at night and be very mindful of my belongings. Hi Kristin, I was hoping to find some information on Greece, We plan to travel there in September 2019 for a month. We are middle age but still looking for the best way to see the best places. Do you have any information on this area? I haven’t traveled there extensively, though I plan to this summer!